The GLOBSEC NATO Adaptation Initiative, led by General (Retd.) John R. Allen, is GLOBSEC’s foremost contribution to debates about the future of the Alliance. 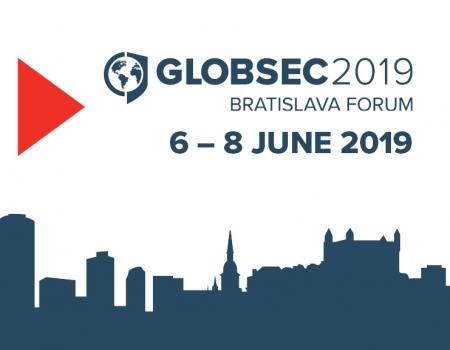 Given the substantial changes within the global security environment, GLOBSEC has undertaken a year-long project, following its annual Spring conference and the July NATO Summit in Warsaw, to explore challenges faced by the Alliance in adapting to a very different strategic environment than that of any time since the end of the Cold War. The Initiative integrates policy expertise, institutional knowledge, intellectual rigour and industrial perspectives. It ultimately seeks to provide innovative and thoughtful solutions for the leaders of the Alliance to make NATO more a resilient, responsive and efficient anchor of transatlantic stability. 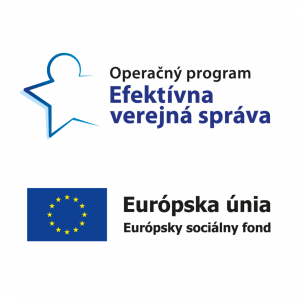 The policy papers published within the GLOBSEC NATO Adaptation Initiative are authored by the Initiative’s Steering Committee members: General (Retd.) John R. Allen, Admiral (Retd.) Giampaolo di Paola, General (Retd.) Wolf Langheld, Professor Julian Lindley-French, Ambassador (Retd.) Tomáš Valášek, Ambassador (Retd.) Alexander Vershbow and other acclaimed authorities from the field of global security and strategy. NATO is at a crucial decision point. The Alliance has adapted well in response to the watershed events of 2014 – rebuilding deterrence against threats from the East, increasing its engagement with the Middle East, and forging a closer partnership with the European Union. 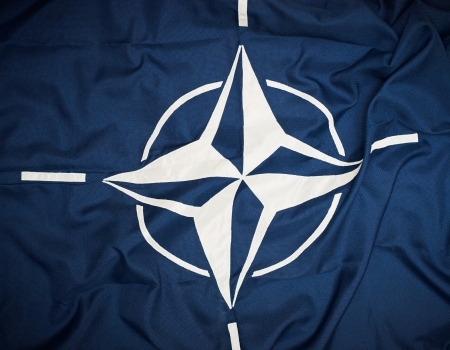 But as it nears its seventieth birthday, NATO risks falling behind the pace of political change and technological developments that could alter the character of warfare, the structure of international relations and the role of the Alliance itself. NATO cannot stand still, or rest on its laurels. To maintain its credibility as a defensive alliance NATO must embark on a more far-reaching process of adaptation. NATO must ensure it has the capacity to fight a future war if it is to deter and prevent such a war. And it must have the political tools and partnerships to reinforce its military capabilities. To lay the basis for long-term adaptation, NATO leaders should commission a strategy review at the July 2018 Summit that could be completed by the seventieth anniversary summit in 2019, and which might be embodied in a new Strategic Concept. NATO needs a forward-looking strategy that sets out how NATO will meet the challenges of an unpredictable and fast-changing world. Embrace new geostrategic and transatlantic realities: Adaptation will only succeed if the Alliance confronts new geostrategic realities, including the need to deter a revisionist, militarily-advanced Russia, whilst also projecting stability to NATO’s South, and dealing with threats posed by states such as North Korea. To establish equitable burden-sharing between the United States and its allies, the Defence Investment Pledge (DIP) agreed at the 2014 Wales Summit must be honoured in full, and new money spent well. Strengthen NATO’s deterrence and defence posture to prevent conflict and deter aggression: Enhancing the readiness and responsiveness of NATO conventional forces must be the over-arching priority, but NATO’s nuclear posture and strategy must also be modernised. Along with powerful, agile and resilient conventional forces, Allies need to adopt a warfighting ethos as core Alliance doctrine. NATO must re-establish the capacity for the swift generation of force mass and manoeuvre if NATO is to meet the force-on-force challenge. NATO should promote integrated deterrence, building on reforms to the NATO Command Structure, as well as undertake more systematic contingency planning, to ensure effective command and control across the conflict spectrum. Establish a high-level of NATO military ambition: All aspects of NATO’s non-nuclear conventional forces must be radically improved, including better integration of cyber and new technologies. Indeed, the strengthening of Alliance conventional forces is the sine qua non of adaptation. Whilst moving towards a new nuclear strategy and posture is also politically challenging, NATO’s Nuclear Planning Group must seek to make advances where possible. NATO must at least be able to command simultaneously operations in a large-scale state-to-state conflict (a Major Joint Operation-Plus), and undertake a sustained strategic stabilisation campaign to NATO’s south. NATO’s crisis management mechanisms are still far too complicated. NATO’s role in the defence of the global commons must also be enhanced with multi-domain forces able to operate to effect across air, sea, land, space, cyber, knowledge and information. NATO must train and think as it plans to fight. Impediments to battle-critical information-sharing must also be removed. Strengthen NATO’s role in counter-terrorism: The terrorist threat to the Euro-Atlantic area will increase. NATO’s Counter-Terrorism Policy Guidelines and NATO’s support for the Global Coalition to Defeat ISIS are vital. However, NATO must also contribute more to preventing terrorist attacks on its members, including home-grown plots. Whilst this is primarily a national and EU responsibility, with law enforcement and interior ministries in the lead, NATO’s newly upgraded Joint Intelligence and Security Division (JIS), with its secure communications links to Allied capitals, could become a clearing-house for exchanging classified terrorist threat information. Engage with Russia and Ukraine on the basis of principle: A new political strategy is needed for NATO to better engage with Russia. Dialogue must go hand-in-hand with defence with the goal of managing competition and reducing risks until fundamental differences that prevent a return to cooperation with Russia are resolved. At the same time, the Alliance must help Ukraine, Georgia, and other Eastern European neighbours to defend themselves and continue to promote the Euro-Atlantic integration of the Western Balkans. The Open Door policy, and the possibility of future membership, must be upheld. Promote a broad NATO security agenda: The enduring mission in Afghanistan is a reminder that the security of the Alliance does not stop at its borders. NATO needs a broader security role to reinforce the engagement of the Alliance across the Middle East, North Africa and beyond. Defence capacity-building to NATO’s south will be an important contribution to peace and security, working closely with regional security institutions, such as the African Union and the Arab League, as well as with individual partner nations. Craft a smarter NATO: If the Alliance is to both protect people and project influence and power, NATO should better integrate the many centres of excellence into a network of excellence, and establish new centres to address new challenges. A bespoke Hyper War Centre of Excellence would help generate a coherent approach to future war, and combine work on Artificial Intelligence and expanded NATO cyber defence. NATO urgently needs a coherent approach to the development and application of artificial intelligence (AI) and its family of capabilities to defence and deterrence. Such a Centre would necessarily need to train and educate NATO’s civilian and military leadership, and include staff courses for NATO international personnel and member nation civilians. Create an ambitious and comprehensive NATO-EU Strategic Partnership: The EU will become an increasingly important foreign and security actor and partner of NATO, with the NATO-EU strategic partnership increasingly important for the management of transatlantic relations. For many Europeans the Common Security and Defence Policy (CSDP) will be a, if not the vehicle for defence policy. The European Defence Agency will also be the mechanism of choice for the development of military capabilities for many Europeans. Therefore, NATO and the EU must overcome current barriers to foster a more substantial and mutually beneficial partnership and reinforce practical cooperation. A NATO-EU summit at heads of state and government level should be held at least once a year. Foster wider strategic partnerships: NATO must also create a world-wide network of strategic partnerships and institutions. Indeed, at a time of globalised security NATO needs to better forge functional political, civilian and military partnerships across the world. The creation of consultative councils with states such as Australia, China, India, Japan and South Korea would be an important indicator of such ambition. Better equip and afford NATO: NATO must innovate as an alliance and streamline the delivery of new technology and equipment. On average it takes 16 years from conception of military capability to operational effect, which is far too long. Capability fielding timelines must be shortened, and commanders given a greater say in requirements development. NATO should promote a common standard for shared assessment, harmonised requirements and common specifications, expand the use of common funding, and conduct an Alliance-wide platform and systems audit as part of a Future Requirements Framework. Deepen relations with established defence industries and forge new partnerships with the new defence sector: Critically, NATO must gain a far better understanding of the impact of new technologies such as artificial intelligence and data mining, together with their defence applications. Many of the companies driving new technologies are not defence giants, nor are many of them defence-focussed. Such companies will need to be sure that if they invest limited people and resources in NATO projects, their existence will not be threatened by sclerotic acquisition practices. Equip NATO for the future of war: NATO needs a future war strategy that fully-integrates hybrid warfare, cyber war, counter-terrorism and hyper war, and the continuum between them. Critically, NATO must leverage the impact of new technologies on the security space and battlespace. NATO must better grip and exploit new information technologies, and systematically trawl newly-available artificial intelligencepowered capacities to exploit big data. To that end, NATO should consider creating an agency similar in mission to that of the US Defense Advanced Research Projects Agency (DARPA). If the above recommendations are adopted, they would take NATO adaptation to a new level and reinforce the Alliance’s fundamental goal of preventing war and deterring aggression. Building on the short-term changes dictated by the earth-shaking events of 2014, these recommendations would also equip NATO for the even more formidable changes on the horizon. You can download the GLOBSEC NATO Adaptation Initiative Final Report below.